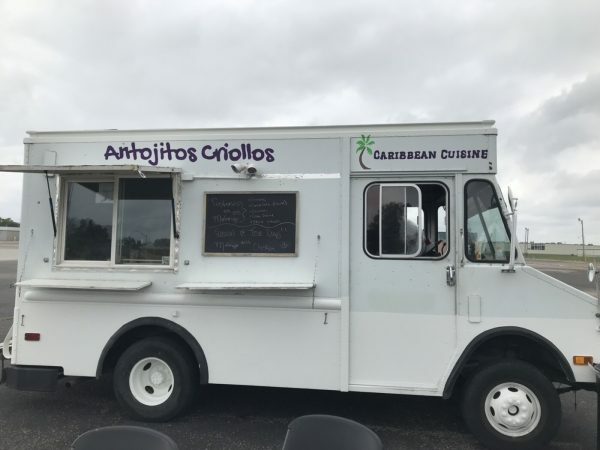 Antojitos Criollos – Caribbean Cuisine bringing a taste of Puerto Rico to Wichita – Wichita By E.B. 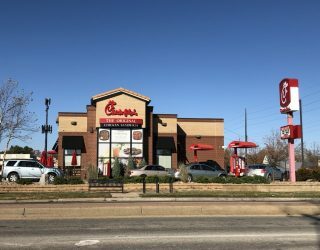 More Caribbean cuisine has arrived in Wichita. While driving around and running errands, I happened to stumble across a new food truck that has only been open for a couple of weeks. Antojitos Criollos – Caribbean Cuisine serves dishes that are native to Puerto Rico. They are probably the newest food truck in town and have arrived with little fanfare. 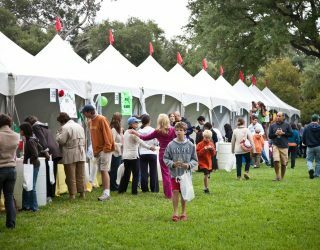 So let us introduce you to some fine Caribbean dining! Currently at the northwest corner (next to QuikTrip) of Pawnee and Meridian Monday – Thursday from 10am – 3pm. From checking out their Facebook page, it appears the menu changes every now and then. On my visit, they had Tostones and Mofongo . I’ve never had either of those items before so asked the owner what would be better for lunch. 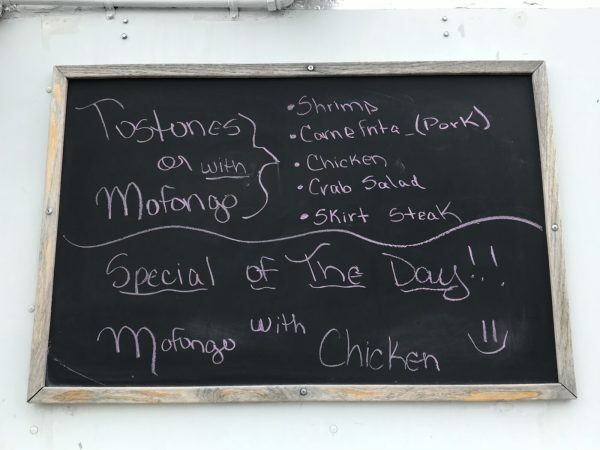 He recommended their special of the day which was the Mofongo with chicken. 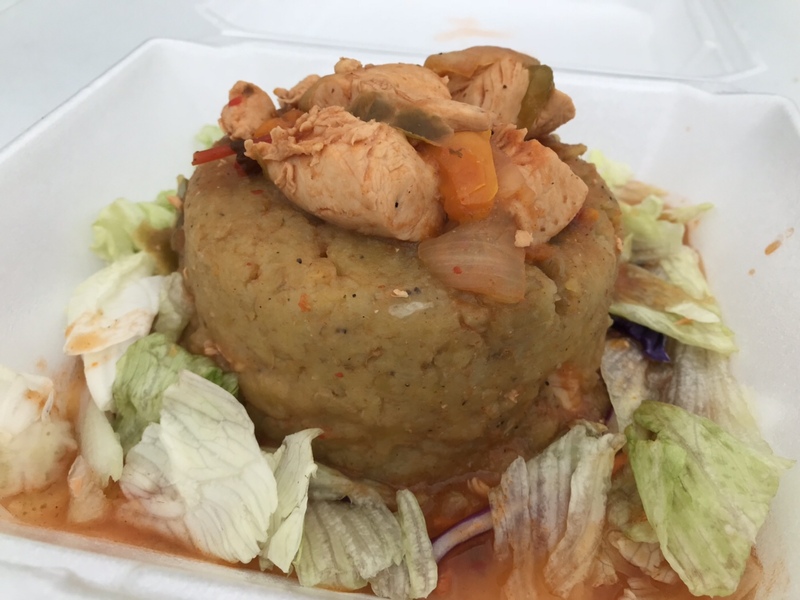 Mofongo is a Puerto Rican dish with fried plantains. Plantains are then mashed with salt, garlic, and olive oil. The goal is to produce a tight ball of mashed plantains that will absorb the attending condiments and have such meats as pork or chicken. I had to look it up but the owner had no problem showing me the process of what he was doing. 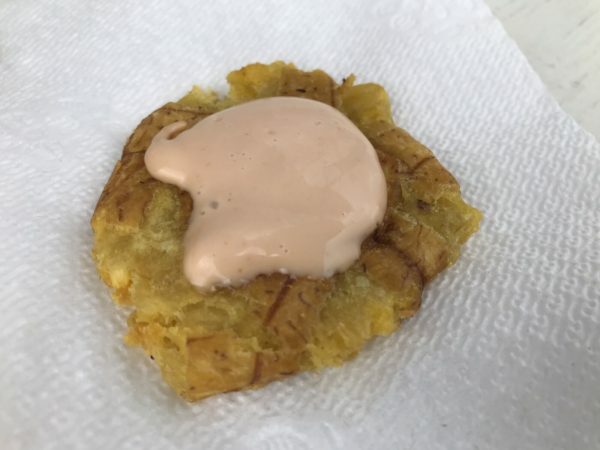 The end result looked like a plateau of fried plantains made of bananas with chicken inside and then topped with chicken. I was expecting something sweet and it wasn’t really all that sweet. The olive oil toned it down. The final product was delicious and very flavorful. It was something that I’ve never heard of but was very pleasantly surprised with it. At first glance some people may question what they are eating but I found it to be very good. While the mashed plantains offered a very mushy texture, the chicken added some substance. For $8, it was more than worth it. Upon leaving the owner asked my thoughts on the meal and I told him I loved it and planned to come back for the Tostones which are twice-fried plantain slices. He told me if I was willing to wait a little, he would give me a sample. So wait I did. I love fried plantains and the Tostones were worth the wait. They were topped with a special mayo that I loved. I almost wish I ordered that meal instead. It was a wonderful impromptu stop that I wasn’t expecting as I’ve never heard of Antojitos Criollos food truck. I think the food gods were looking down on me that afternoon. Needless to say, this is one unique truck you’ll want to add to your list of ones to try. I love trucks that offer a break from the norm and Antojitos Criollos does exactly that.